Pregnant women placed a high premium on clinical evidence when considering whether or not to participate in a hypothetic clinical trial of a Zika virus vaccine. Engineered mosquitoes may express a polycistronic cluster of synthetic RNA designed to be resistant to the Zika virus genome. Children with prior dengue virus infection had a decreased risk of being symptomatic when infected with Zika virus. Researchers examined a full range of data on neurological complications in newborns and infants born to women infected with Zika virus. The most cost-effective means of decreasing transmission of Zika virus is administration of the vaccine to young adults and women of childbearing age. Sequential neuroimaging indicated that prenatal and postnatal ultrasonography may identify Zika virus-related brain injury in most patients. 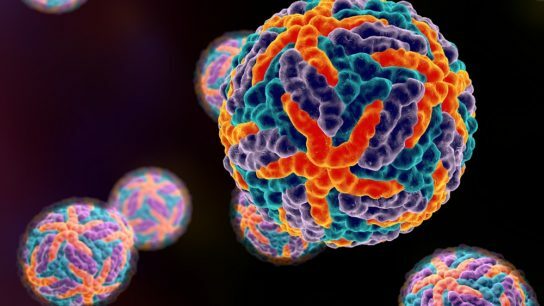 Evidence that hydrocephalus is a complication in at least a proportion of patients with congenital Zika syndrome has been published in JAMA Neurology. An analysis of 69 cytokines found 3 specific chemokines that are specifically associated with symptomatic Zika virus infection during pregnancy.